The English camp we had three weeks ago brought me back to Kanchanaburi. Kan (as what locals call this province) is located in the west of Thailand. Its proximity to Bangkok (more or less 128 km) makes it an ideal place to see and experience nature at its best without being too far away from the capital. During the course of the camp, 4 nights to be exact, Aek-Pailyn Hotel served as our temporary residence. Allow me to give more details of this hotel. Aek-Pailyn River Kwai Hotel is located on the banks of Kwai Yai River. 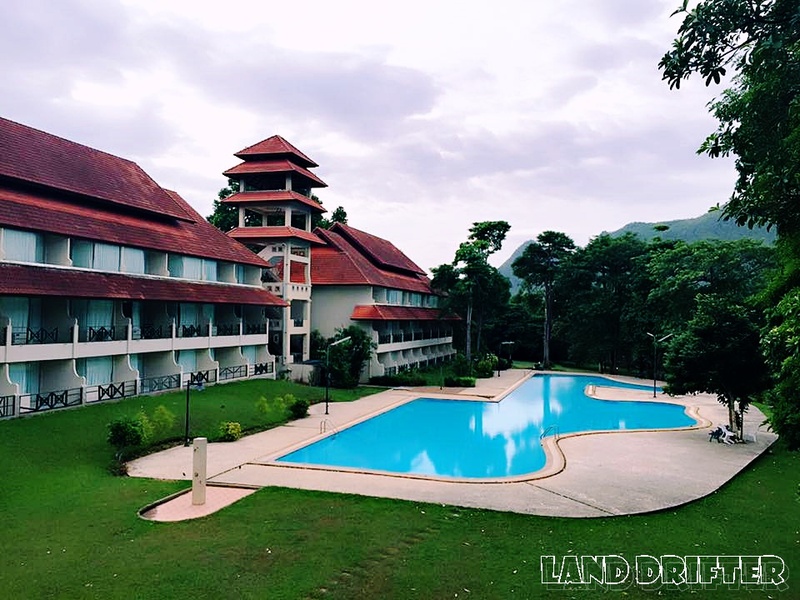 Its hotel facilities and amenities such as the large swimming pool near the river, restaurant shops, meeting and banquet rooms that can accommodate a large group of people, and the snooker table found next to the reception - are few things guests can enjoy whilst staying at the hotel for the best comfort and memorable experience. 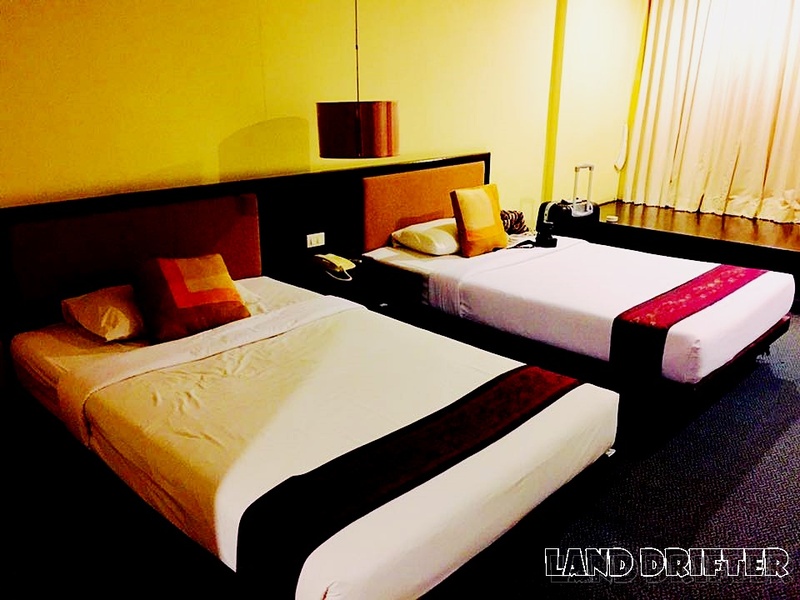 The scenic natural surroundings like the mountains that seem to be touching hands with the sky, as well as the sound of birds greeting you first thing in the morning, are things you won't find in other hotels. 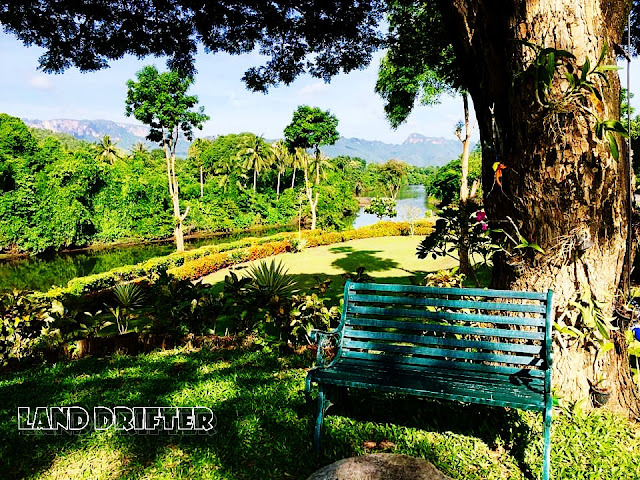 You can also relax around the nice landscape planted with different flowering plants near the river; read a book whilst sitting on the bench under the tree; or simply unwind at the music created by the beautiful splashing of Kwai Yai River down below. The only downside in my opinion is when you book during the low season, you might end up having very limited food and with no alcohol. It is also possible that you might be their only guest which could be a little spooky. Although our room looked a bit old, it was spacious and clean. 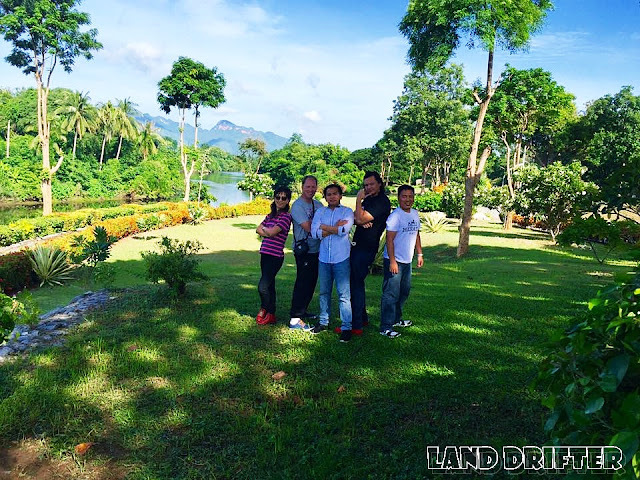 I liked the place and would recommend it to anyone wishing to have a comfortable stay in Kanchanaburi. We didn't pay anything since we were invited to facilitate the camp. Their website doesn't have any pricing either. But upon checking Agoda for November stay (fully booked in October), it was a little over 1,300 baht per night. Well, considering that this hotel is nice and comfy, that rate was actually a bargain. Aek-Pailyn River Kwai Hotel is located at 245 Moo 4, Ladya-Arawan Rd., Muang Kanchanaburi. It is about 151 kms from Bangkok or 31 kms from Kanchanaburi town hall. Here's the video of the hotel which I got from their website. Enjoy!